It’s always a good idea to prepare well before embarking on a new journey. If you’re thinking of changing to a career in tech and enrolling on a bootcamp this year, then check out these pre-bootcamp tutorials. Your path towards becoming a developer will be much smoother if you can hit the ground running. Here’s a list of pre-bootcamp tutorials for Web Development, Software Engineering and Data Science. Here are two pre-bootcamp tutorials for web development. This 1.5 hour tutorial will take you through the basics of web development. No prior knowledge is needed, so it’s perfect for someone new to coding. You’ll be better able to talk and understand web concepts. In fact, once you’re done, you may wish to consider listening to some web developer podcasts. Here we’ve listed 10 of the best podcasts for web developers aimed at covering all skill levels and interests. This tutorial is aimed at beginners and will take you through the basics including operators, loops and functions, etc. It consists of one page with easy-to-use navigation. However, on the downside you won’t get a lot of chance to practise with this important language. Software engineers create the technologies that we interact with every day, from the app that wakes you up in the morning to social media and music platforms. Judged 2018’s best job by the U.S. News and World Report, software engineering is an excellent career option. This quick, text-based tutorial is suitable for those wanting to enter the software development field. Topics include: the Software Development Lifecycle, Software Project Management, Software Design and Coding, etc. An hour or two should allow you to cover the material on offer. This edX tutorial is more advanced. It introduces the basic concepts of object-oriented software engineering. You’ll cover project management techniques for developing complex software systems. You’ll also find out about the different phases of a software project. Before enrolling on your bootcamp, it might be worth listening to this material for free. If you’re keen to become a data scientist, then you should definitely check out Python – the language of choice for many data scientists. Why is Python used so widely in data science? One important reason is that powerful statistical and numerical packages exist in Python for data analysis (such as PyBrain, NumPy and MySQL). This free tutorial is offered by Udemy. 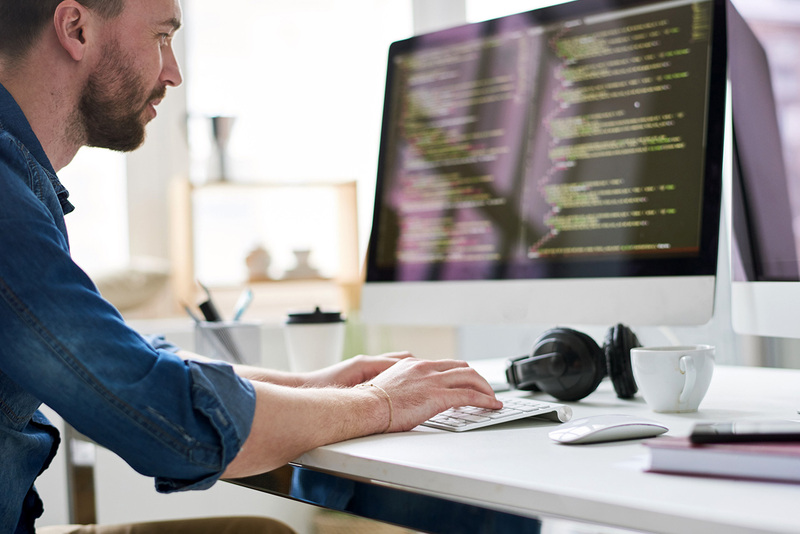 No programming experience is required and you’ll learn some of the basics of Python. It includes 4.5 hours of video and some articles. It’s particularly aimed at those learning Python for the first time. The good news is that Python is one of the easiest coding languages to learn. The downside is that the course is pitched at a beginner level and if you’re wanting to become a programmer, you’ll obviously need to dive deeper. In addition, if you get stuck, you’ll have to work out the solution for yourself. GitHub is a place for developers to collaborate on projects; however, you can also find more than 500 free programming books that cover more than 80 different programming languages on this popular repository hosting service. The resources are frequently updated by collaborators. Here’s a GitHub project that lists free learning resources for data science and big data related concepts, techniques, and applications. Each entry includes the expected audience for the book (beginner, intermediate, or veteran). Although it may suffer from subjectivity, it does still provide some indication of how difficult the book is. In conclusion, we’ve listed six pre-bootcamp tutorials. You could also trial one of the HyperionDev courses for free as a pre-bootcamp tutorial. HyperionDev offers the following online coding bootcamps: Full Stack Web Development, Data Science or Software Engineering.